We’re in the midst of the Fourth Industrial Revolution—an incredible wave of innovation and technology that is radically transforming our economies, our societies and our daily lives. This can be observed in our lives every day with smart devices that keep you always on and connected, shopping via voice command, self-driving cars. Nowhere is the upheaval of the Fourth Industrial Revolution more likely to be felt than in the workplace. As with previous industrial revolutions, the Fourth Industrial Revolution will profoundly affect people’s lives as AI and increased automation see many types of jobs change. At the same time, entirely new categories of jobs are emerging. At Salesforce we believe business has an important role to play in helping the workforce of the future develop the skills that will help them succeed and thrive in this newly innovative world. Our charitable arm Salesforce.org has given more than $1.6 million in grants to support “Future Ready” organisations in Ireland including CoderDojo, Citywise, Codeplus, Educate Together, Bridge21 and St. Peter’s School in Bray. Today we announce our latest effort to support innovation in Ireland and help members of our wider community obtain the skills required to succeed in the Fourth Industrial Revolution. 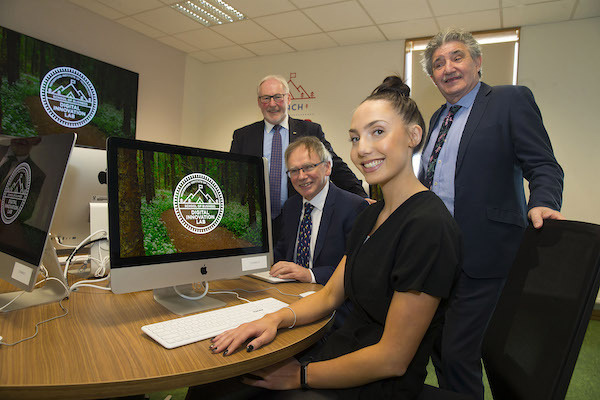 Salesforce is proud to be working with Waterford Institute of Technology to sponsor a new Digital Innovation Lab for digital marketing students within the Institute’s School of Business. The lab was co-designed with WIT by Salesforce's Innovation and Marketing teams and uses themes and design concepts focused around collaboration and interactivity. 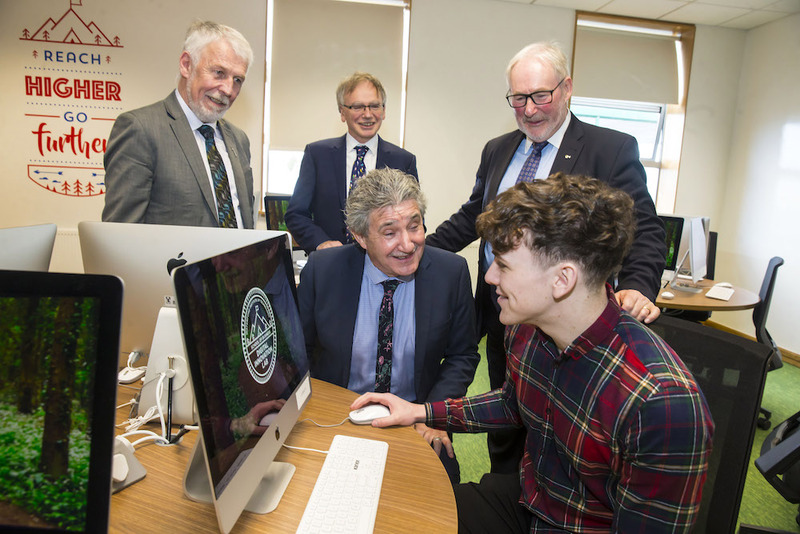 The lab aims to be a very different space to a traditional academic 'practical room' and is focussed on bringing the digital skills to life for the students of WIT. The design of the lab is focussed on promoting collaboration with in a circular rather than linear layout. There is also a library space for students to sit and reflect. In addition, a collaboration wall runs along the side where ideas, concepts and even draft coding can be written directly onto the wall for everyone to work together. As part of our partnership with WIT we will also be lending our expertise, providing guest lectures and seminars to their digital marketing students. The students will also be given direct access to Salesforce technology, ensuring the digital marketing skills they develop are based on real world experience and not abstract theory. Dr. David Dempsey, Ireland Country Leader at Salesforce explained why Salesforce were so pleased to support this project as part of their continued commitment to Ireland. “Ireland is a significant part of our history and was our first-ever Salesforce hub outside of the US and opened in 2000. In January we announced that we are growing our regional hub in Ireland committing to add 1,500 new jobs in the next five years. Giving back to the communities where we work has always been a part of our story, and as we grow so that commitment.